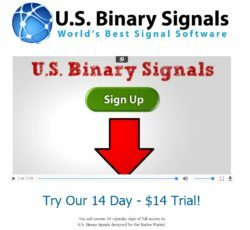 In this U.S. Binary Signals review we explain why we believe that you should stay away from this service. 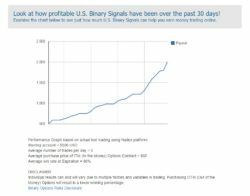 U.S. Binary Singnals is a binary options service that generates trading signals to be traded on the Nadex Exchange. These signals allegedly have a 80% win rate. They cost $1 per the first two weeks and then $97 per month. 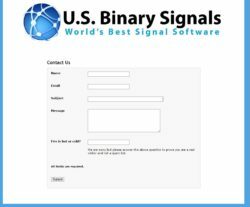 We checked the U.S. Binary Signals offer and we have several problems it. First of all, speaking generally, does it seem logical that signals that can make you tens or hundreds of thousands of dollars per month cost $97 per month? Of course not! Profitable trading systems cost huge amounts of money. 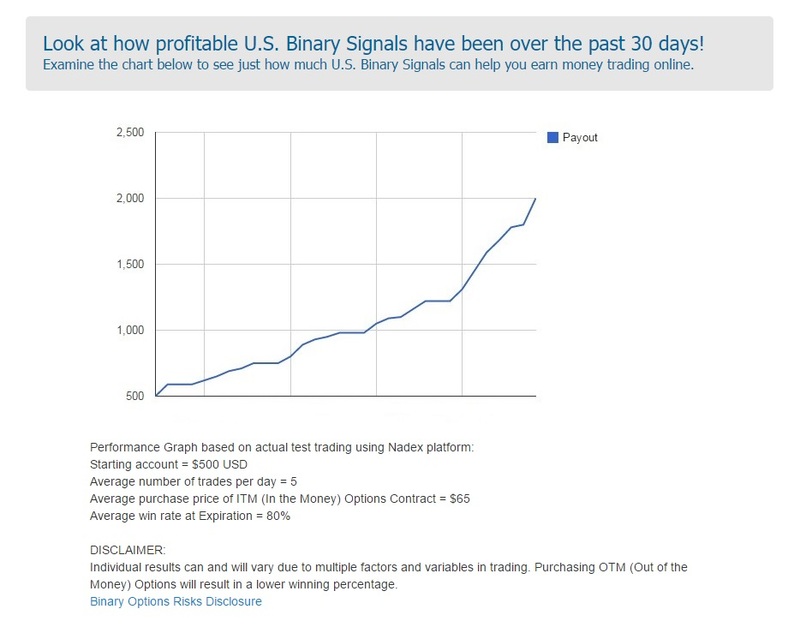 U.S. Binary Singals allegedly can quadruple your account in a month. This is nothing short of a miracle and we wonder why every U.S. citizen is not using it, because quadrupling your account every month will make you a millionaire very quickly. 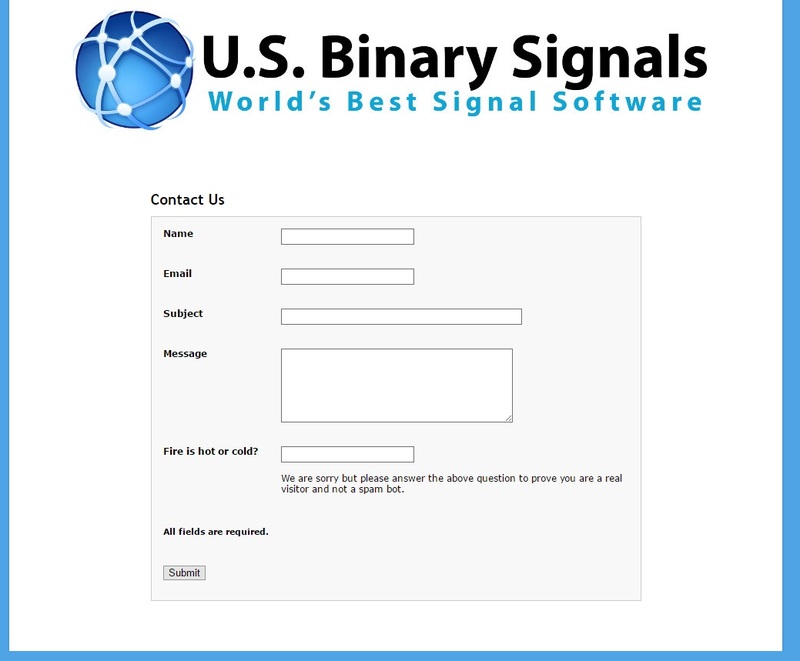 U.S. Binary Signals is a totally anonymous service, you won’t find a single name, phone number or address. And so we believe that it is an illegal service. U.S. Binary signals is engaged in the business of providing advice and making trading recommendations for compensation. So we believe that they should be registered as Investment Advisers, which they are not. 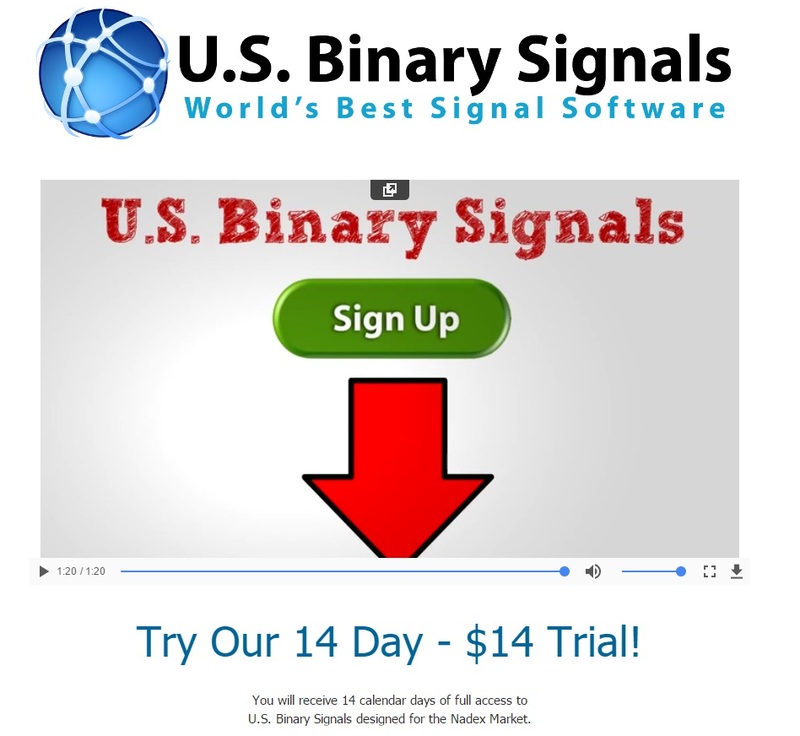 This is only our opinion, so if you are considering using U.S. Binary Signals, we suggest you check with the SEC or other national regulator to see if it is really a legit service. U.S. Binary Signals is an anonymous and unregulated service that you should check with your national regulator, if you consider using it. We strongly believe that the real performance of this service will be far away from what is presented.